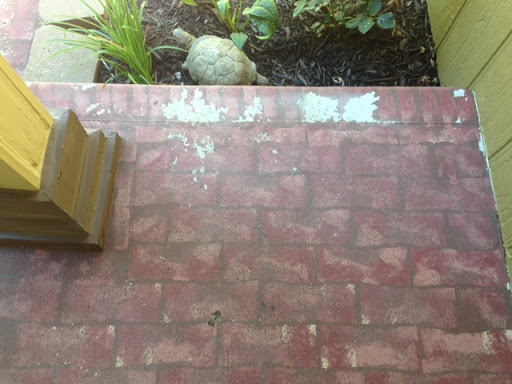 Last week I “rebricked” (trompe l’oeil) my front porch and walkway. When we moved into our house eleven years ago, I wanted a brick look instead of the plain, ugly grey concrete. 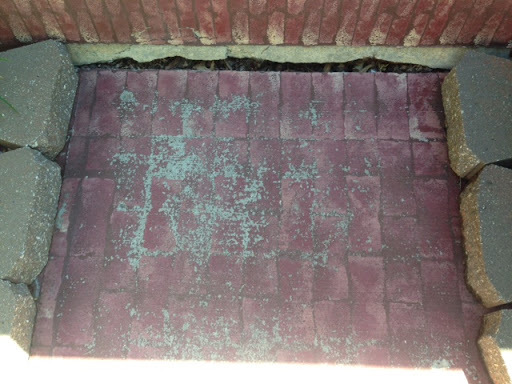 Calling on my theater experience with set painting, I read up on materials and technique and “bricked” the porch and walkway. It looked great, and I was so proud of my efforts. It’s weathered well, but over the decade since then, snow shovels, teenagers traipsing in and out, heat, hail, and ice have taken their toll. There were some worn spots that now destroyed the illusion that it was real brick. It was time to refurbish. Just like the walkway, how many of us found a terrific way to do our work and let it run for a decade without a real tune up? Well, if it’s been that long, it’s time to take a look. No matter how great it once was, it’s now worn, faded, tired, and in need of some love and attention. Whether it’s our health, our daily work plans, or our visions of where we want to take the work, it needs our attention from time to time to keep it fresh and on track. So while I went through this faux painting process, I made connections to my work (teaching – leading – coaching) ‘cause let’s face it – painting faux bricks in 90 degree heat for hours at a time just begs for your mind to think about something! 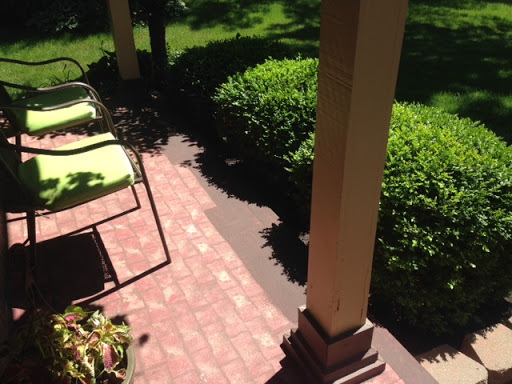 Using the refurbishing of my walkway as a metaphor for refurbishing our work, I found some interesting thought points to consider. This is the first installment of what turned out to be a four part series. Hope you find something that speaks to you in your work, too. Let’s go! This step requires being brutally honest with yourself and whatever you’re assessing. In the case of my walkway, I could see where an entire section needed fixing while other places just needed a touch up. I made sure I had all the materials I would need and verified it was all in good shape to use. I chose a time that was optimal to get the job done and then put it in my schedule to do it. Note – Here’s why I said brutal honesty: I wasn’t. I didn’t want to re-do the whole thing so I talked myself into believing I could get by with patching old with new. I knew better. I just didn’t want to commit that much time and energy to it. However, one trial run on a small patch section showed me my choice – do it so-so and it looks crapalicious or do it right and it looks amazing. Hearing my grandmother’s voice in my head, “Anything worth doing is worth doing well”, I knew I had to commit to re-doing the whole thing. Bad word. Sometimes, the truth is NOT what we want to face; however, nothing will improve if we keep deluding ourselves about what really needs to happen to improve it. The truth rarely looks like rainbows and lollipops. And there’s the first key idea – how committed are you to a quality outcome? In my case, it not only meant more time and energy from me, but it also meant letting go and getting rid of what I’d done before. Saying goodbye is hard. It might turn out looking similar to what I had before, just updated, or it could look completely different in the end. I just don’t know. (That’s a little scary.) I had to accept that changes probably would emerge in this process. The commitment then is now twofold: doing the work AND sticking with it until it’s a quality product. There’s the variable – how much time and effort is it going to take to make it a quality outcome? Again, there’s just no way to know when you start. It’s all in – or don’t bother. Once you’ve made the mental shift to see it through and go all in, you’re ready for step 2 . . . a solid foundation is the key to EVERYTHING. While you’re waiting for step 2 this week, consider what in your work or life could use some refurbishing. Anything needing a little attention?